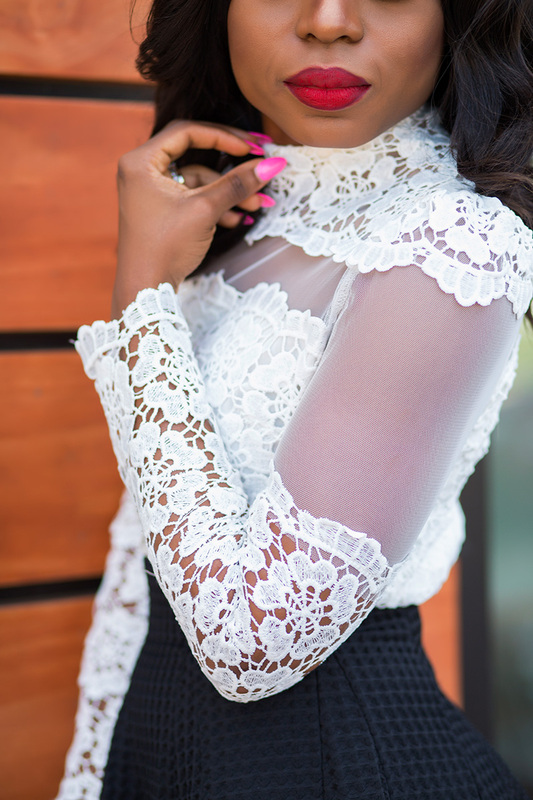 I am a big fan of this lace top from Chicwish . 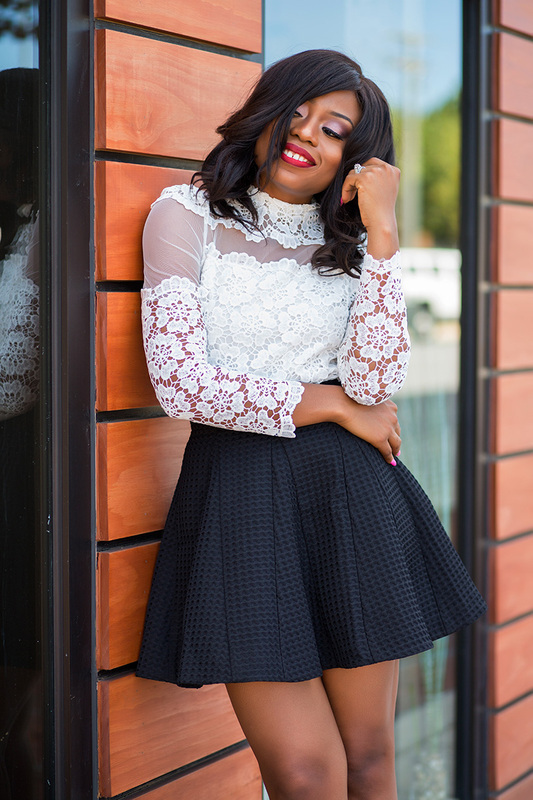 The black version of the top which I am wearing here will look great if paired with the skirt on this post. The “all-black” look will be awesome. For this post, I wanted a black and white look which will be great for a date. The black skater skirt rather than the red version was my preference; skater skirts are chic and fun and they can be dressed up or down. I will restyle the skirt with ankle boots or over the knee boots for fall. 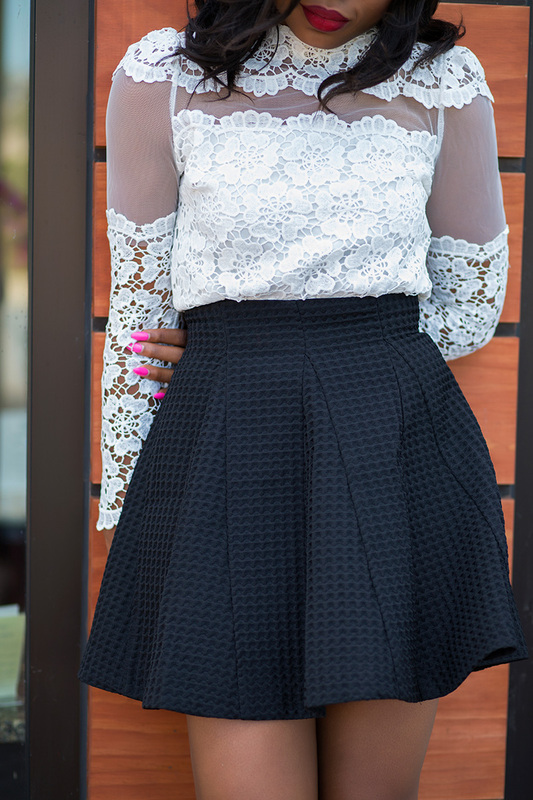 the skirt is super cute and that lace top is everything looking forward to see how you'll restyle the skirt. Stunning! ! I would to see the red and white combo so elegant! You have very pretty legs, wow! This is a terrific look. So beautiful.